附论文连接：Zhang X*, Mlynaryk N, Ahmed S, Japee S, Ungerleider L.G. 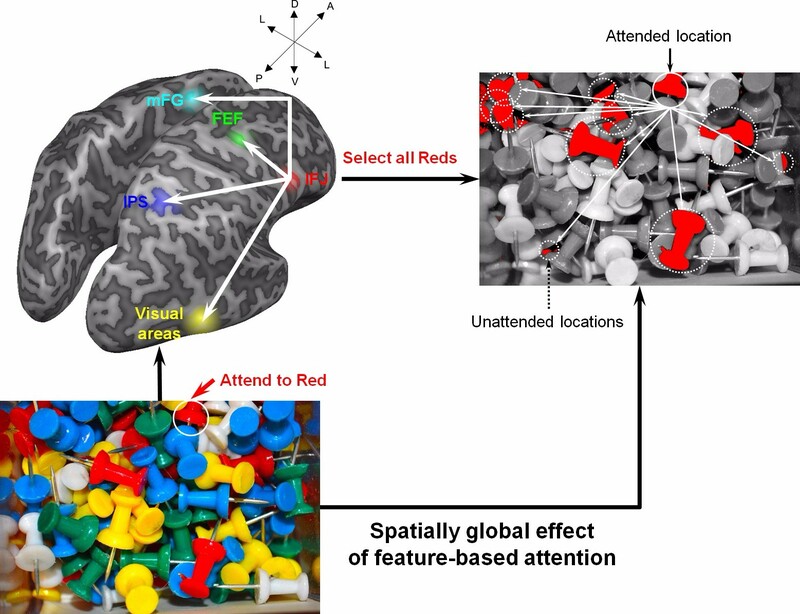 The role of inferior frontal junction in controlling the spatially global effect of feature-based attention in human visual areas. PLoS Biology 2018, 16(6): e2005399. 参考文献:Zhang X., Zhaoping L., Zhou T., and Fang F*. (2012). Neural activities in V1 create a bottom-up saliency map. Neuron 73(1), 183–192. Zhang X*., Japee S., Safiullah Z., Mlynaryk N., and Ungerleider L.G. (2016). A normalization framework for emotional attention. PLoS Biology 14(11), e1002578.